As musical sibling to another sonatina in a set for solo instruments and positive organ, this for bassoon and organ is in three connected movements. The first movement, an indeed the whole work, is in a large rondo form of sorts. 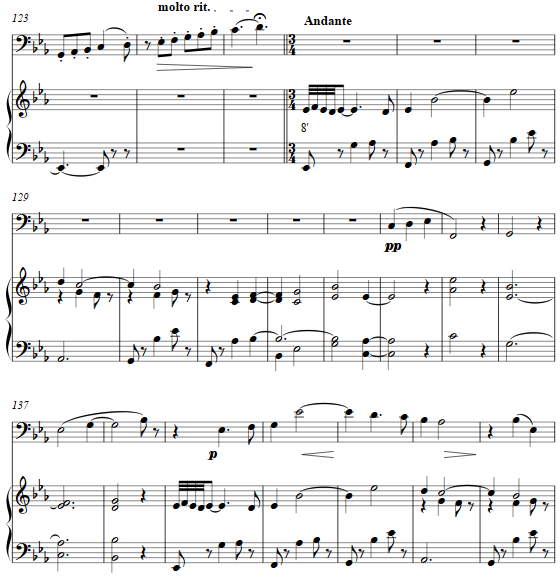 As episodes between the initial theme, and andantino features a palindrome form, which then also appears in the third and final movement of the larger rondo form. From presto to andantino and back provides contrast with continuity. The second movement is a passacaglia introduces by the organ, and then variations in melody unfold in the bassoon.. A moment in E flat natural minor varies the harmonic palette. 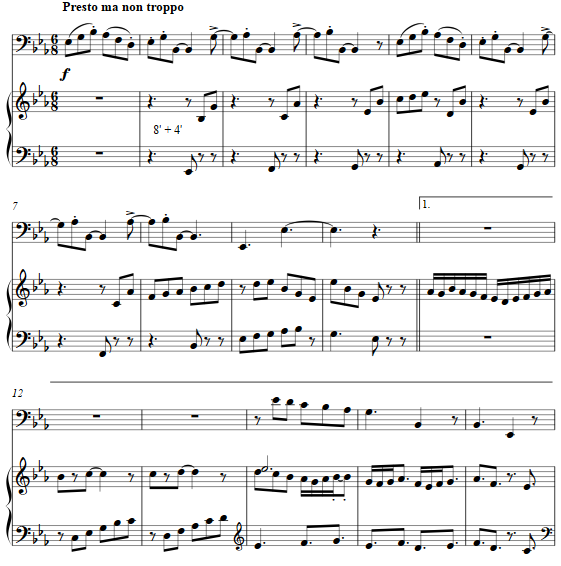 Layered over the third section's andantino is a canon for the melodic part as well for the second half of the palindrome, and a romp in the presto's 6/8 ends the work with scale passages.